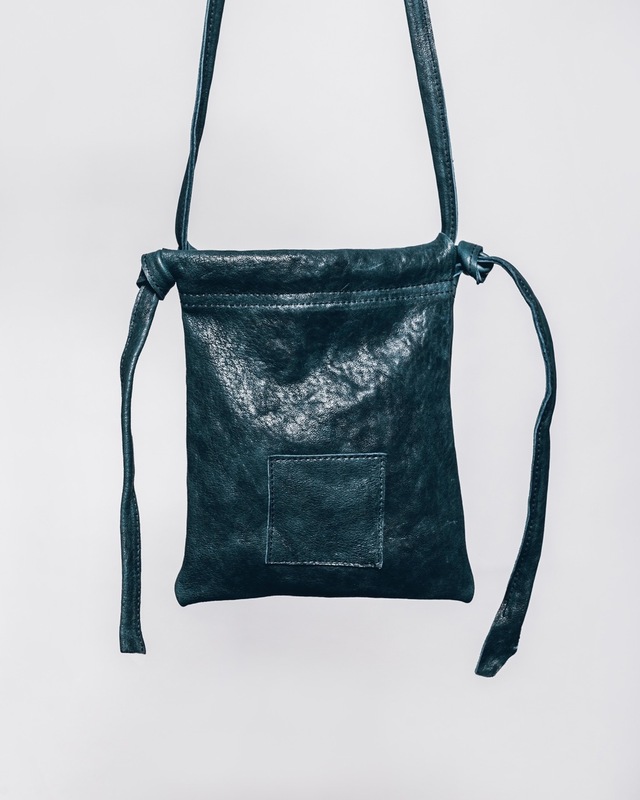 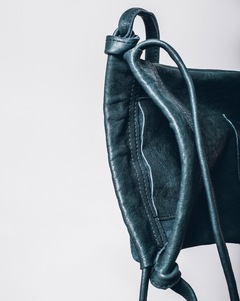 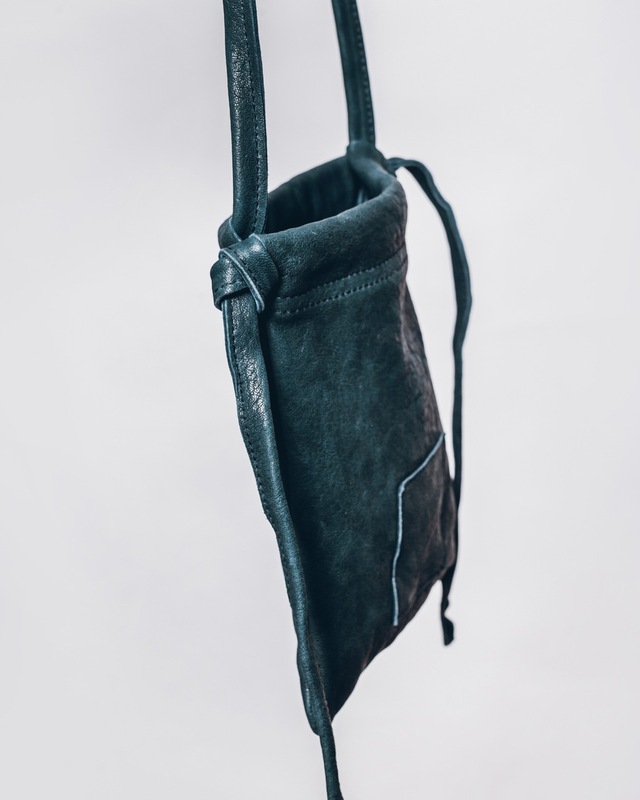 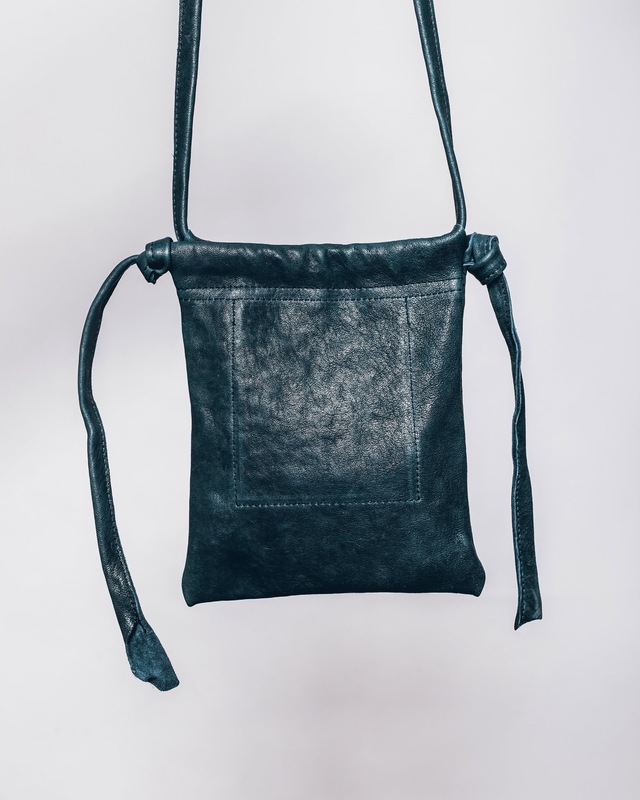 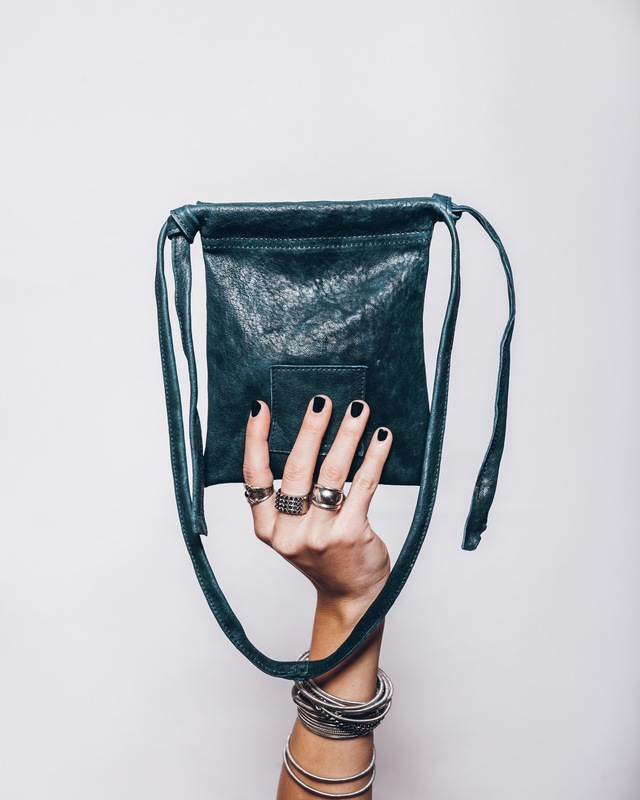 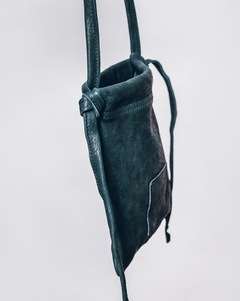 Neck bag in 100% veg tanned leather. 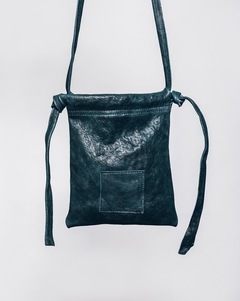 Adjustable string and an inner pocket in bag. Can be worn as a neck bag or a cross body bag, or however you want to wear it!